HARTFORD, Conn., November 8, 2018	(Newswire.com) - ESOP Plus®: Schatz Brown Glassman LLP (www.esopplus.com), a boutique ESOP law firm with offices in West Hartford, CT and Rochester, NY, is pleased to announce that Kathleen Weber and John Zollo have joined the firm as partners in our Rochester, NY office. In addition to ESOPs, Kathleen’s practice includes all areas of employee benefit law including, defined benefit plans, 401(k) plans, nonqualified deferred compensation plans, plan audits, Department of Labor investigations, plan compliance and correction programs. Kathleen was most recently an employee benefits law attorney at Barclay Damon LLP in Syracuse, NY. Previously she worked as a corporate and tax attorney at Bond Schoeneck & King, PLLC. John’s is an experienced and nationally recognized ESOP and employee benefits attorney, most recently as a partner at Barclay Damon LLP. John previously worked at Ice Miller LLP in Indianapolis, IN and at the Employee Benefits Law Group in Sacramento, CA. John has a decade of experience working with ESOPs from their inception through termination. He also works extensively with 401(k), 403(b), 457(b), profit sharing, defined benefit, and nonqualified plans. John and Kathleen regularly advise clients on deferred compensation arrangements, synthetic equity plans and stock option arrangements, as well as 409A and 457(f) compliance. 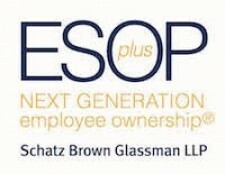 For more information, please contact Robert Brown, 585-512-3414 or RBrown@ESOPPlus.com.